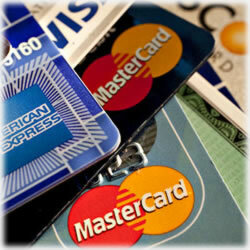 A quick search of “credit cards” in a search engine inundates us with millions of returns. Credit cards for bad credit, credit cards with no annual fees… it’s exhausting at time. If you’re shopping for a new credit card, have you considered what it is you really need? How do you choose between two seemingly fine offers? Do you understand the logistics behind the terms and conditions? Before you dismiss these seemingly simple questions, unless you’ve been keeping up with the changes in this sector, odds are, there’s a lot you aren’t even aware of. These credit cards offer discounts on fuel or sometimes cash back on your fuel purchases. These cards can also be used to purchase (gasp!) items in the convenience stores that bear the fuel company’s logo. There was a time when most of us overlooked the benefits of a gas rewards card. Not anymore. With the rising costs of fuel, many are taking a second look at a gas rewards credit card. The Chase Freedom is a great choice; the $200 bonus cash back option can equate to nice savings if you use it solely for fuel purchases. No annual fee, either, makes this a strong contender for those who are looking for a versatile credit card offer. This particular sector has grown in recent years and for good reason: there are few risks associated with the prepaid card dynamics. You enjoy the convenience of online bill payments and online shopping, but without the interest rates and no fear of late payments because you’ve already pre-loaded your card. You can spend only what you have available. To that end, the WalMart MoneyCard MasterCard prepaid option is a well-rounded offer that’s not overloaded with fees. A $5 minimum balance gets your account open and from there, you can use it wherever MasterCard is used. Reload funds at any Wal Mart or Sam’s store or you can do so online, too. Student credit cards are an ideal way of gently easing into the many lessons associated with today’s credit. The Discover Student Card has a $25 cash back promo currently running. It offers a 0% APR for nine month, allowing parents an ideal opportunity for a teaching lesson on how interest works. Another great choice that’s been introduced only in the past few weeks is the Capital One Journey Rewards student card. It too has no annual fee and a lot of opportunities for college students and their parents to save money each semester. Finally, we take a look at the traditional cash back credit card. These cards are used by those who have a lot of purchase activity on their accounts and who can benefit from cash back based on a percentage of what they spend. The Visa Black Card is one of the best cards in this sector, though the $450 annual fee is a roadblock for many who are determined to find a comparable offer minus the high fee. Card users have access to 24 hour concierge services, travel lounge priority passes, no blackouts or restrictions and 1% cash back on all purchases. The introductory six month 0% APR is nice, too. The most important thing for anyone to know who’s looking for a better credit card off is to do your homework. Compare rewards, bonus cash back programs and of course, the terms and conditions. The way this particular sector is changing – courtesy of the 2009 CARD Act and the Dodd-Frank passage – it’s safer to assume nothing and invest those few extra minutes ensuring you know what’s what. Ask yourself what’s important, what’s not so important in terms of rewards (we always say if you fear flying an airlines reward card is going to serve little purpose in terms of bonuses and other benefits – no matter how long that 0% APR is). The trick is finding the right card with the right benefits that you’ll actually use. Finally, be sure to explore the credit card network’s websites. This is where you’ll find amazing deals that are reserved for those card holders. You might discover 20% cash back options and other benefits that can save hundreds over the course of the year.